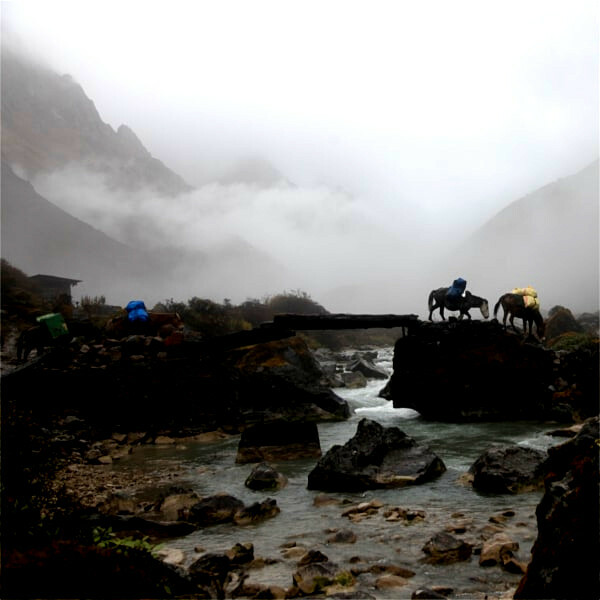 Amongst the shortest trek route in Bhutan, Bumdra trek (2 days trek) is the perfect for someone looking to mix it up alongside with their cultural tour or for someone looking to visit Taktsang monastery and extend their trekking for one extra day. The trek starts from Sangchoekor monastery, goes to Bumdra and then to Paro via Taktsang monastery. 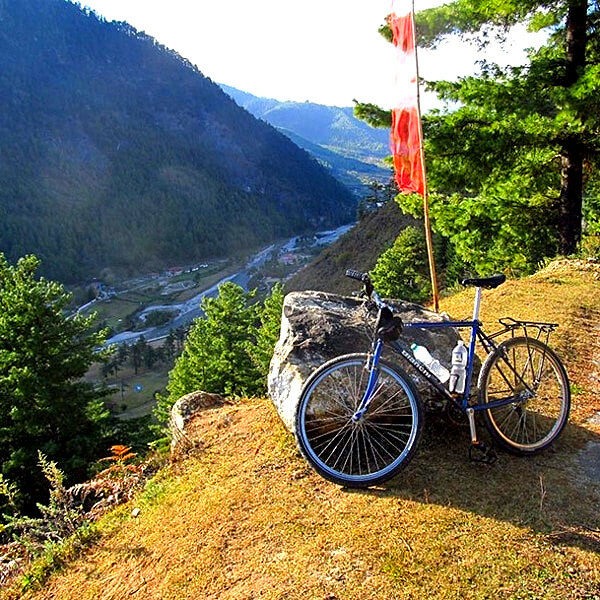 This tour can be customized into 4 days and 3 nights, if you do not wish to visit Thimphu due to time constraint. Nature of Tour : Trekking and cultural sightseeing. Welcome to Bhutan. Meet your guide and driver at Paro international airport and transfer to Thimphu. At Thimphu visit National Memorial Chorten. 1. Buddha Dordenma Statue: Located at Kuenselphodrang, facing Thimphu valley down bellow is the worlds’ largest and tallest Buddha statue standing at the height of 169 feet (52m). The statue houses one hundred thousand of smaller Buddha statues, the exact replica of the outer Buddha statue. From here one can have a 360ᶿ view of Thimphu valley. 2. Simthokha Dzong: Located around 5 km south of Thimphu town, Simtokha Dzong is the oldest Dzong in Bhutan built by Zhabdrung Ngawang Namgyal in 1629, it is believed to have been built over a stone onto which Zhabdrung Rinpoche pinned down a demon and subdued it. The Dzong contains the bed chambers of Zhabdrung and Desi Jigme Namgyal, the father of the first King of Bhutan. Formally known as Sanga Zabdon Phodrang (Palace of the Profound Meaning of Secret Mantras), the Dzong contains many sacred relics. 3. Changangkha Lhakhang: Overlooking the heart of Thimphu city, the temple was built by Nyima in the 12th century at the site chosen by his father, Phajo Drugom Zhigpo, the founder of Drukpa-Kagyud Buddhist tradition in Bhutan, which today is the state religion of Bhutan. The temple houses, among others, a copper statue of Tandin (Hayagriva), Phajo Drugom Zhigpo and his consort Khandro Sonam Pelden. This temple is considered the guardian of all children born in the Thimphu valley. 4. Royal Textile Museum: Located near National library at Chubachu, it was established in the year 2001. The museum contains Bhutanese textiles, arts, crafts and more importantly the royal collections which includes first version of the Raven crown worn by first and second King of Bhutan, dresses and accessories worn by royal family and the bedding of his holiness Zhabdrung Jigme Dorji. After breakfast drive from Paro to Sang Choekor from where your trek begins. We will cover a total distance of 7 km. Our campsite will be below Bumdra Monastery at an altitude of 3500m (11482 feet) above sea level. Today we will trek back down towards Paro via Taktsang Monastery. On the way visit to Taktsang and follow the trail down till Ramthangkha where your driver and car will be waiting for you. We will cover a total distance of 15 km on trekking today. Taktsang Monastery: Located 900 m above Paro valley on the face of a rocky cliff, about two and a half hours’ trek from the road point, Taktsang is perhaps the most famous monastery in the country. The monastery was named Taktsang after Guru Rinpoche flew there from Kurtoe Singay Dzong (Eastern Bhutan) riding on a tigress to subdue a demon. Gyalse Tenzin Rabgay, the secular head of the country (1680-1694) has begun the construction of the monastery at this site in 1692 and completed it in 1694. The monastery houses many temples that contain sacred statues of eight manifestations of Guru Rinpoche, Tshepame Yabyum and Bone relic of Pelgi Singay. After reaching Paro if you have enough time, then pay visit to Kichu Lhakhang. 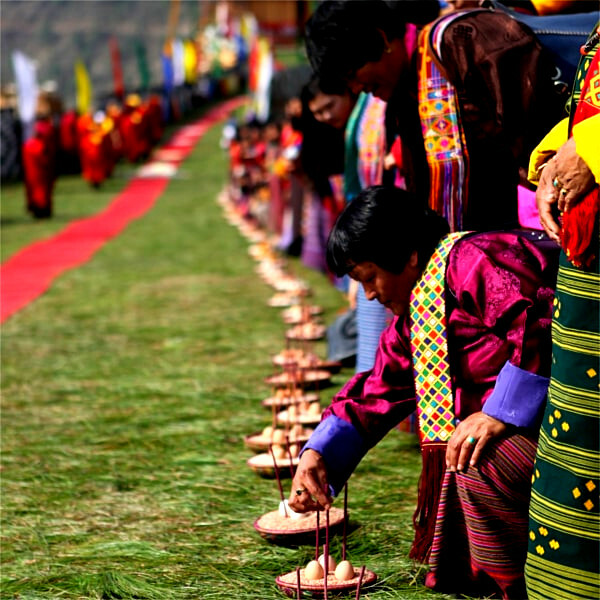 Your wonderful journey to Bhutan comes to an end today. After your breakfast, your guide and driver will see you off at Paro International Airport.